Diagnostics in Luxdentic is one of the tools that a good dentist uses. 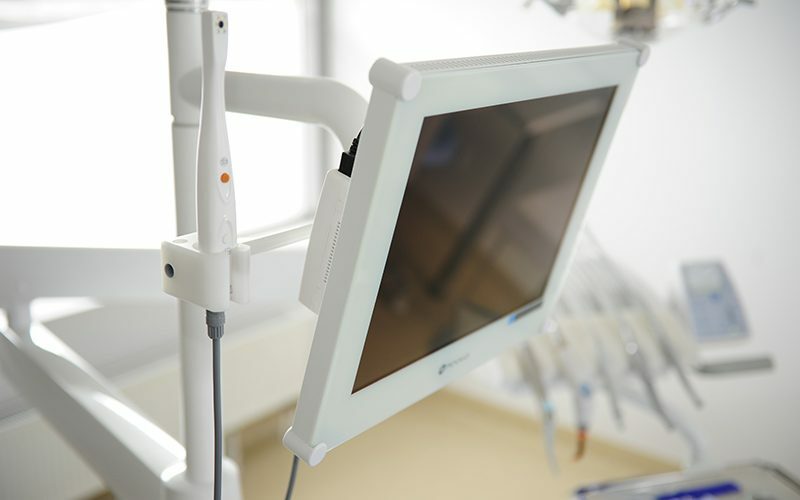 In addition to the knowledge and experience of our doctors, modern diagnostic equipment is of great importance. In Luxdentic we use modern dental devices that allow us to achieve the best treatment results and carry out the treatment in the most comfortable way for the patient. 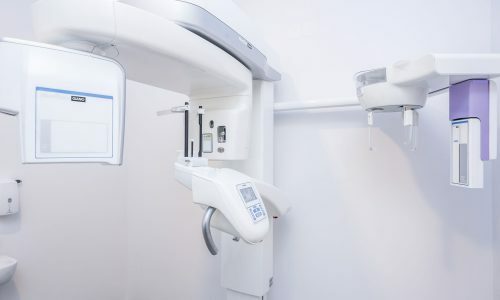 in our clinics in Praga Południe and Ursynów during the visit we can perform full and immediate X-ray diagnostics: tomography, pantomogram and small X-ray picture of a single tooth. We focus on precise diagnostics, which is why we use one of the most modern computer tomographs in the world – NewTom Giano. This device gives unprecedented diagnostic possibilities in dentistry, extremely useful in implantology, dental surgery or root canal treatment. 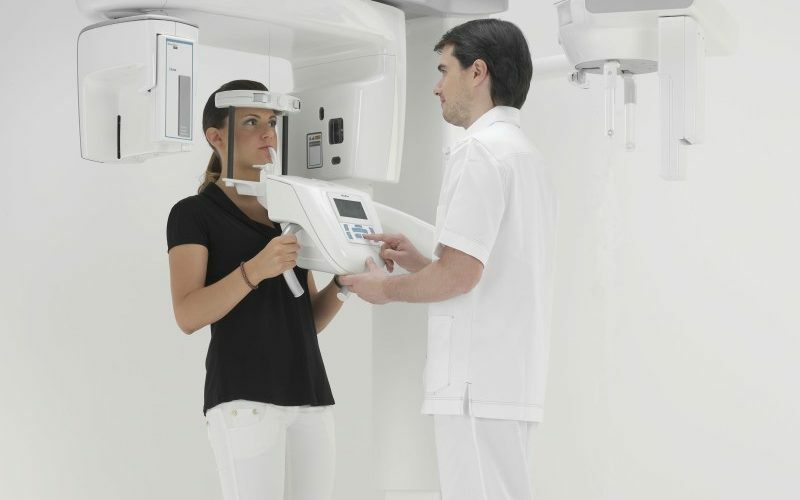 The tomograph allows us to take a very precise photos with a small dose of radiation. The dentist receives a 3D image of the bone, which allows even more accurate planning of the whole treatment. There is no precise dentistry without a precise diagnosis. Our X-ray laboratory allows an excellent, digital diagnostics, which is the basis for all further treatments. We make a new panoramic photo for each new patient – a pantomogram, which allows the earlier detection of a problem that is invisible in the ordinary examination, and over time can become dangerous both for the condition of the teeth and the whole organism. 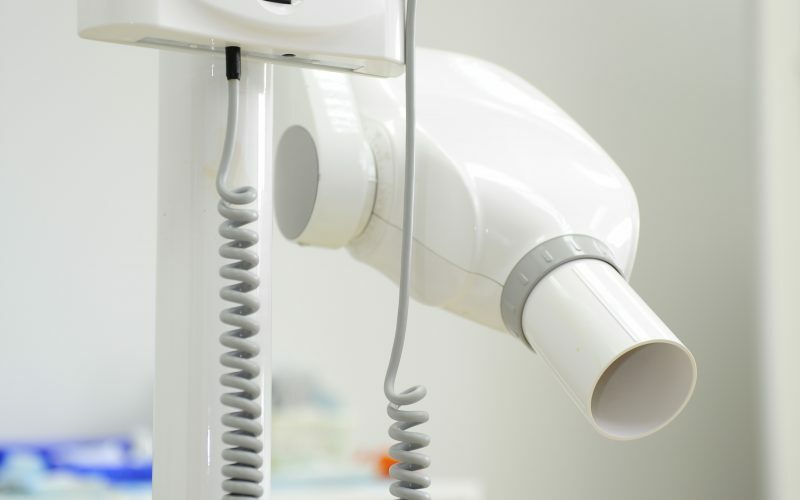 Each dental office is equipped with radiovisiography (RVG) for taking small dental pictures. They are necessary during root canal or surgical treatment. They provide invaluable control over the course of treatment during work and allow you to take a picture of the patient on the chair during the dental procedure. To see more is to understand more. Modern root canal treatment is precision on a micro scale, that’s why our dental offices are equipped with the most modern Carl Zeiss and SELIGA dental microscopes. These microscopes allows us to perform treatments with great precision and efficiency. We work with 20x magnification during root canal treatment! In addition, the microscopes enable the treatment of difficult cases where the only solution so far has been to remove the tooth. Advanced endodontics (root canal treatment) includes endometers and radiovisiography as well as precise techniques of filling root canals. 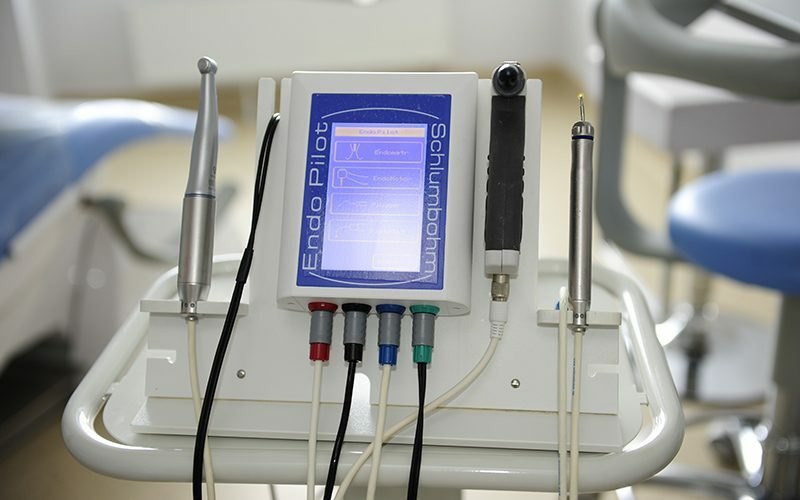 Endodontic unit shortens the duration of the treatment and allows for high accuracy and precision of treatment. It is always available when we need to save a tooth. 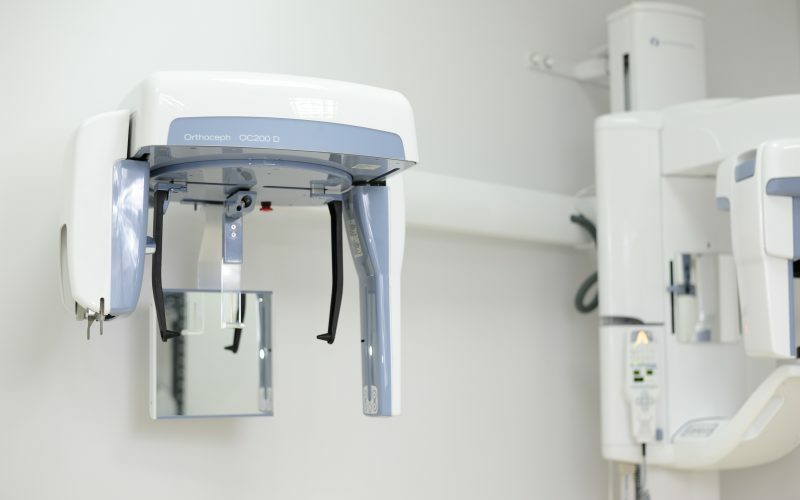 At each dental chair there is an intraoral camera that allows to review the oral cavity and facilitates treatment planning. The camera also allows the patient to see his teeth enlarged on a monitor near the dental chair. Thanks to it you can see how your teeth look before and after cleaning, any other dental treatment or teeth whitening.